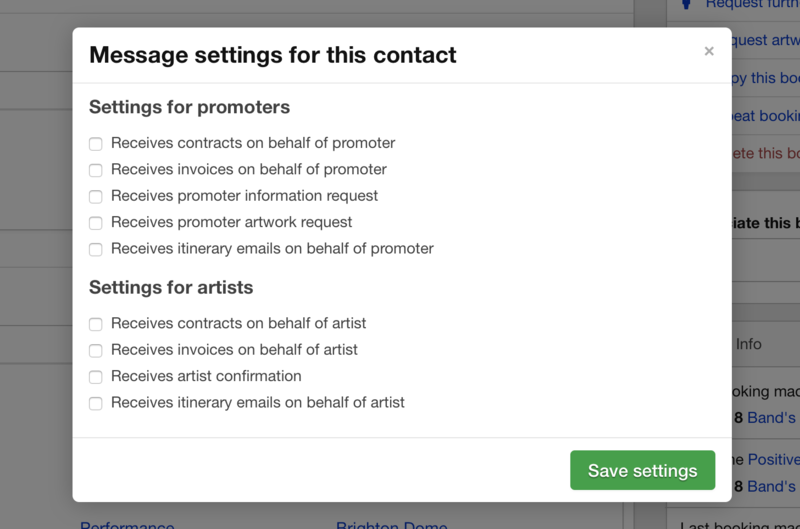 We have recently rolled out some changes to the other contacts feature allowing you much greater control over how messages are generated for contacts associated with your artists. 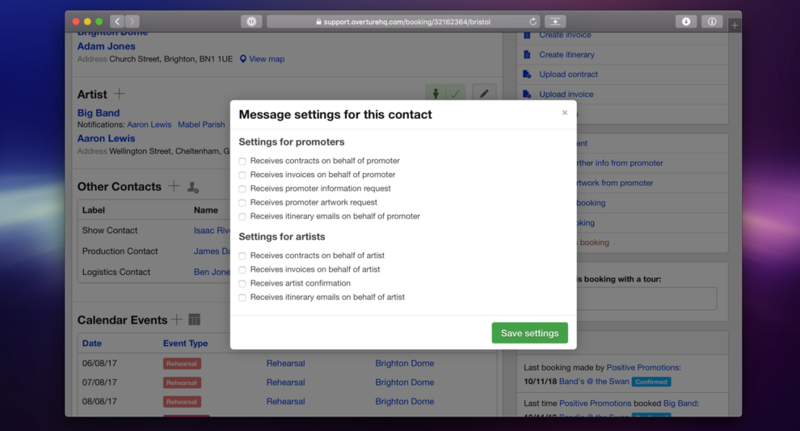 Other contacts is a feature available to all booking agencies using Overture but generally only useful to some, so you may not see it on your bookings and events screens. If you think that it would be useful for your account, then please let us know and we will add it in for you. As you can see in the screenshot the contacts are now added to a table which works in the same way as before when the Other Contacts were in a simple list. You can click on the contact label to adjust the type as required, don’t forget you can setup the contact types in your settings. The major difference is at the end of the table row you have the message settings icon. Click on that to view the popup with the options that are now available to you. As you can see this now gives you a much finer level of control over who receives which emails. You can also set these up for individual contacts on their further information page so that the other contacts are automatically added when you add the artist to a booking with the relevant message settings included.